It’s a common question with many different answers. So we’ve done the research and found the most popular sports in Australia. Do you agree? Sport in Australia is a national obsession. Whether hitting a tennis ball with friends on the local courts or playing football in an organised competition, most Australians play sport in one way or another. That's why determining the most popular sport in Australia is so difficult. How do you define what 'popularity' means? For some, just playing sport at any level is all that matters, while for others it's all about registered player numbers. Factors such as attendance figures, revenue generation and the performance of elite athletes on the global stage are just as important for many. Because sport is played in many different forms, this list will feature sports based on participation levels for everyone from six years of age. That means the retiree swimming early morning laps at the local aquatic centre is considered just the same as the cricketer opening the bowling for his local club. If nothing else, this list will provide more ammunition for those arguments around the office water cooler when the topic turns to the most popular sports in Australia. With approximately 3.147 million taking part, swimming is clearly the most popular sport in Australia. Almost half (48.8%) of all children aged 6-13 take part, and while that participation figure drops to 10.1% for adults (14 years+), it still tops the list in that category as well. Parents are encouraged to teach their children to swim from an early age. That means most children take part in swim schools throughout their primary school years. With 35,000km of coastline and 84% of the population living within 50km of it, it's not hard to see why swimming is so popular. Summers in the southern states are spent at the beach, while those in the northern states can enjoy their local beaches and pools all year round. Australia also has a rich and proud history at the elite level. Only the United States has won more gold medals than Australia at the Olympics. Swimmers such as Ian Thorpe, Grant Hackett and Dawn Fraser are household names, and Australians draw inspiration from their achievements. As the third most popular sport for children, and second most popular sport for adults (14+), cycling easily takes the second spot on the list. With 2.343 million participants, 10.8% of all Australians take part. Australians have had a love affair with cycling from the moment the first bike was imported into Australia in the latter part of the 19th century. Today around 55% of all homes has a bicycle, and the average household has 1.5 bikes in working order. People in Australia cycle for many reasons. These include transportation, recreation and competitive sport. Over the past decade, there has been a dramatic increase in the number of cyclists on the roads. From people trying to get to and from work, to the weekend road cyclist clad in lycra, riding is becoming a far more common activity. This increase has coincided with two of our most famous cycling achievements. In 2011 Cadel Evans became the first Australian to win cycling's biggest event, the Tour De France. Then in 2012 Anna Meares won her second gold medal, beating hometown favourite and arch rival Victoria Pendleton at the London Olympics. Both captured the hearts and minds of the nation and put cycling firmly on the sporting map in Australia. While we'll call it soccer to differentiate it from other sports, the fact many Australians call it football now shows how far the game has come. For children (6-13), soccer rivals swimming as the most popular sport in Australia with a 48.7% participation rate. This figure drops to 3.1% for adults (14+), but it's still the number one team sport in this category. Soccer has a long history in Australia, with the first recorded games taking place in the late 1800's. But it was the mass influx of Europeans following World War II that catapulted the game into the next level. It wasn't long before a national competition was formed, and today the professionally run A-League is an incredible success story. What was once a fringe game watched and played by those from ethnic backgrounds, is now a popular sport right across mainstream Australia. On the international stage, the 'Socceroos' struggled with just one World Cup appearance in 1974. But all that changed in 2005 when John Aloisi scored the winning penalty against Uruguay to send Australia to the 2006 World Cup. Since then Australia has played in three World Cups in a row, and players such as Harry Kewell, Mark Viduka and Tim Cahill are as famous as athletes from other football codes. Perhaps a surprising entry at first glance, but upon reflection, dance plays a huge role in Australian culture. We have such a multicultural society, and dance is an important traditional pastime in the lives of many Australians. This includes indigenous Australians, those from various ethnic backgrounds, and Anglo-Saxon Australians. Over 1.3 million people (6%) take part in dancing for recreation or sport, including 30.3% (743,000) of all 6-13-year-olds. With TV shows such as So You Think You Can Dance Australia and Dance Moms, there has been a boom in child participation rates. Dance is also part of the Australian Curriculum, so children are exposed to dance from a young age. They have so many options including ballet, jazz, tap and contemporary, that dance is a major rival to traditional sports for child participation. Over 1.08 million Australians play basketball, a figure propped up by the huge number of children playing the game. Approximately 30.5% of all children play basketball, no doubt influenced by the success of Australian players making their way into America's NBA competition. Andrew Bogut, Patty Mills, Ben Simmons and Andrew Dellavedova are the most recent in a long list of Australian players in the NBA. Luc Longley, Chris Anstey, Andrew Gaze and Lauren Jackson are other high profile basketballers who have kept the game in the national spotlight. Basketball enjoyed its golden era during the 1990's when crowd attendance and TV ratings numbers were at an all-time high. Yet the sport suffered during the 2000's, with teams coming and going and money causing major headaches for everyone involved. But the sport has enjoyed a resurgence in recent years, with crowds and TV numbers on the rise. Who doesn't love a good walk into the bush, right? With a vast and diverse landscape, it's no wonder many of us spend our recreation time exploring it by foot. Rugged mountain ranges, tropical rainforests and the desert outback are just some of the environments that attract us to the great outdoors. While most sports are boosted by child participation levels, bushwalking is given its momentum by adults. It's actually the third most popular activity for adults, with 847,000 (4.4%) people taking part. By contrast, it's only the 12th most popular activity for children (6-13). Bushwalking is immensely popular for many reasons. There is virtually no barrier to entry. As long as you can get to a walking trail you can take part. It plays a vital role in the health and wellbeing of many Australians, from both a physical and mental viewpoint. Physical activity fights against obesity and disease, but bushwalking also offers an opportunity to clear the mind and relax away from the stress of day-to-day life. Everyone loves dusting off the tennis racket and hitting the local courts whenever the Australian Open is on. We're inspired by high profile Australian and world-class players who descend on Melbourne for each year's first Grand Slam event. Over 960,000 people play tennis either recreationally or in an organised competition, split roughly down the middle between children and adults. Tennis has been a major part of the Australian sporting landscape since the late 1870's. The Australian Open was first played in Melbourne in 1905 and has been a mainstay of the Grand Slam tournaments. Since Normal Brookes won Wimbledon in 1907, Australians have excelled at Grand Slam events, especially the Australian Open. Australia is also the second most successful Davis Cup nation of all time. Winning on 28 occasions, Australia only trails the United States who has 32 wins. However, Australia's last victory in this prestigious tournament was 2003. Australia has won the Fed Cup on seven occasions since the first tournament in 1963. But our last victory in 1974 has coincided with a decline in the women's game. Evonne Goolagong won Wimbledon in 1980, followed by a long drought before Sam Stosur won the US Open in 2011. Australia's success in international tennis has produced an enormous amount of famous names. The most famous of these include Rod Laver, Ken Rosewall, Margaret Court, Roy Emerson and Leyton Hewitt. In recent times we've seen a resurgence in Australian players climbing the world rankings. Bernard Tomic and Nick Kyrgios are both in the men's top 30 players, while Sam Stosur is in the women's top 20. What summer is complete without backyard cricket dominating our school holidays? Or Test Match, One Day and Big Bash cricket on our TV screens? 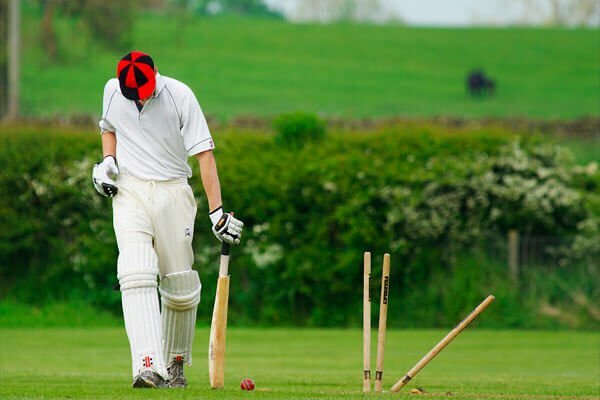 Between trips to the beach and barbecues, cricket matches spring up all over the country, each with their own unique set of rules and regulations. Some rules that differ from the traditional include automatic wicketkeeper, one bound/one hand catches, and six-and-out. About 4.4% of the population play cricket in some way, made up of 631,000 children and 328,000 adults. The continued growth of the A-League (soccer) and re-emergence of the NBL (basketball) are threats to Australia's traditional summer sport, as are recreational pursuits such as swimming and bushwalking. However, Cricket Australia is fighting back thanks to the launch of the Big Bash League competition. Played in less than four hours, each team bats for 20-overs each. Rules are designed to see batsmen dominate the bowlers, with scores over 200 the norm. This has kept children interested, as the game is much faster and more exciting than five-day Test cricket and 50-over a side One Day cricket. But cricketers will always be some of our biggest sports stars, and they will inspire young children to play the game. Sir Donald Bradman, Ricky Ponting and Shane Warne are some of the greatest cricketers of all time, while Dave Warner, Steve Smith and Glenn Maxwell are keeping the young fans of today excited. The importance Australia places on athletics is huge. For a small nation, Australia has hosted the Olympic Games twice (1956 and 200) and the Commonwealth Games four times (1938, 1962, 1982 and 2006). Australia will also host the 2018 Commonwealth Games. The Stawell Gift is also a highlight of Australia's sporting calendar, and there are IAAF (International Association of Athletics Federations) events in Canberra, Sydney and Melbourne. Edwin Flack won our first modern Olympic gold medal in 1896, and since then some of Australia's most famous sporting names have been track and field athletes. These include Herb Elliott, Betty Cuthbert, Ron Clarke, Robert de Castella and Cathy Freeman. Who can forget Freeman's gold medal 200m track performance at the 2000 Sydney Olympics? It was a race that inspired a nation and put athletics firmly on the Australian sporting map. Children often get their start in athletics via Little Athletics, an organised modified athletics program. Events include running, jumping, throwing and walking, and are modified based on the age and ability of the participant. Since being introduced to Australia in 1897, netball has been the most popular sport for women of all ages. Today 846,000 Australians play netball, made up of 503,000 children (20.5%) and 343,000 adults (1.8%). On the international stage the Australian team (Diamonds) has been the dominant force. Since winning the first world championships in 1963, the Diamonds have won 10 of the 14 tournaments. This does not count the 1979 tournament when three teams, including Australia, finished joint first. On the other years Australia has finished as runner-up. Australia's most famous netballers include Liz Ellis, Sharelle McMahon, Catherine Cox, Natalie Medhurst and Vicki Wilson. *Please note: All participation statistics were taken from the 2015 National Sports Participation report from Roy Morgan Research.